I had not considered professional staging before but when faced with trying to have a condo sold quickly I took my realtor's advice and had a consultation with Tweak Home Staging and Redesign. Tamara was easy to work with and had many helpful ideas and suggestions. The staging was organized quickly and the results were beyond my expectations. The staging brought out the best aspects of the condo and made it look very fresh, stylish and roomy. My condo sold very quickly with 3 offers and I know the staging contributed greatly to the large amount of interest and quick sale." We have always been very set in our ways specially when decorating our home. However, when advised by our broker that the market, though strong, is also extremely competitive, thus he recommended staging with Tweak Designs. We were hesitant at first because we thought we had enough decor and good furniture. Tamara indeed proved her staging expertise and sense of professionalism because my husband and I were so pleasantly surprised how she mixed and matched our favourite accent pieces to what she had, and the look was totally new. Most of all, she knew what was visually appealing to all home buyers' preferences, the most crucial factor when selling your property. She knew what should be taken out and combined with new pieces so it captured the viewers' eyes because of the warm home atmosphere which led to an astounding success: we had multiple offers, and our property sold in just 3 days! Thank you Tamara; best part of all is how wonderful it was to work with you - it looked more like fun than work for you, and we believe your joyful spirit in fixing up our home, certainly also added more good aura that helped our property sell so fast! More power to you, we will definitely recommend you to all home sellers." I was very grateful for your staging of our house. I think your arrangements enhanced the look of the house and contributed to the sale. At first, I was very diffident about using staging services as, to me, the house looked great as it was, especially with floral decorations and ancient pieces of furniture. My friends and family were also divided about the usefulness of the service and whether it was worth the price. So it was with a bit of tremor that I undertook to call several staging companies. I was pleasantly surprised with the friendliness and cooperative approach of Tweak Home Staging and Redesign when I called them, so I decided to tempt the adventure. Everything went very well. The staging company arrived on time with all the equipment and when they left, I toured the place and was surprised by the result. I probably would not have chosen some of the pieces, but the house now had a different look; more neutral, more contemporary, and as inviting as a nice hotel with very well coordinated colours and materials. (After being on the market for 8 months), the house sold six weeks after it was staged (by Tweak Home Staging and Redesign). I really feel that the staging was a significant factor in the sale. 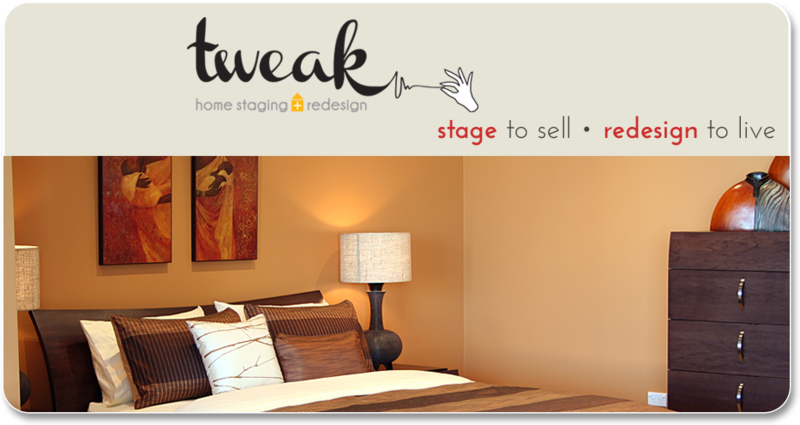 I had the opportunity to avail of Tweak Home Staging and Redesign’s services this summer. Putting your house on the market is an extremely stressful time particularly when you have already committed to the purchase of a new home. The first couple of weeks of a listing are so important. Favourable first impression for potential buyers is crucial. Tamara helped us to de clutter our home and introduced new furniture and pieces of art work to truly enhance our space and lighting making our home brighter and more inviting. I would without reservation recommend Tweak Home Staging and Redesign to stage your home if you are contemplating putting your house on the market. Just a note to thank you for your amazing presentation of (now two) properties I have listed (one has just sold and the other goes “live” on Monday). Not only do the properties look and feel completely modern and compelling, the owners are thrilled with the ease with which you interpret the strongest features and draw out the real beauty of their home. In both cases the owners have said “Wow! I don’t think I want to sell it anymore!”, but of course, the show goes on and within a very short time, not only do the properties draw exactly the target market I am aiming for, but we get real solid offers in the price band we are seeking. The home owners are so impressed with the ease with which the furnishings and details are installed. In some cases you use some of their own pieces and blend them with new and fresh details and furnishings. I am so impressed that you take care of all the details. I don’t have to be there, you just get it right the first time. The professional photographer and videographers I use are all finding it easy to make the property look great, which in turn facilitates first class, quality marketing and ultimately the sale of the property. Oh, I forgot to tell you! One of my clients wants to hire you to help her design the decor for her new home as soon as she buys it after we sell her condo! Expect her call! You are fabulous and make me look great in the process! Tweak Home Staging did an amazing job preparing my condo for sale. They tied every room together with colour, giving it a very polished look. Tamara and her team were so friendly and highly efficient. They had the place staged and ready to go in only a few hours, and took under an hour to get everything out after the sale. They were a lovely team to work with! Many thanks to Tweak Home Staging and Redesign for staging my mom’s condo for sale. While there had been a large volume of potential buyers through the vacant suite, there had been no offers in the two months that the suite had been on the market. After Tamara staged the unit, the suite looked inviting and the buyers were impressed with the size of the unit and the versatility of the space. The condo was sold within a month. Tamara was able to complete the move in and move out quickly and efficiently and was a pleasure to work with. I would certainly use Tweak Home Staging and Redesign for any future staging needs. Thank you Tamara! Your help is always so appreciated. Thank you for giving my clients wonderful ideas to sell their home in 6 days!!! “AND” $11,000 over asking! All we can say is,"WOW"
Tamara from Tweak was great to work with; we're very pleased with the colors and styles she chose!!! We would definitely recommend (her) design flair to our friends and customers!!!!! Tamara staged our home so beautifully that I didn’t recognize it in the photo. Her sense of colour and the way she filled the spaces certainly helped our realtor to sell our home! When we decided to sell our house, we questioned – should we stage or not? The answer is YES – you need it! The feeling of the home, before and after, is completely different. Tweak Home Staging created a surprising furniture arrangement and an amazing colour show. It was so homogenous! Through your helpful staging, our home sold in window time. You more than lifted my spirits when I walked very slowly through my entire apartment. I felt, quite honestly, like my home had had a major facelift and was exactly how a show home would be. It’s spacious, tasteful, beautiful and you’ve used my ornaments and do-dads in the most beautiful way. The rearrangement of the paintings is perfect and ties the rooms together elegantly. I can’t believe that my place had all this potential and through your beautiful wisdom and exquisite taste, you have brought out the most of my little place. My office is amazing and I love that you have added (my daughter's)painting to the room. It helps the colours flow into the living room and brings a warmth and her love and kindness into a place I spend many hours. I can’t wait to give you a HUGE hug and sing your praises. "Thank you” doesn’t even describe how grateful I am and how happy, warm, and content I feel in my “new” home. Thank you for all your hard work, and attention to details. Thank you for your efforts in helping us sell our most recent property. It is gratifying to work with someone who is dedicated to doing a good job and in such a timely manner. I look forward to our next opportunity to work together. I was feeling very overwhelmed with the prospect of getting my condo ready to sell. Having downsized already a few years ago I was not looking forward to moving again but knew this would be the last move for a very long time! When the stagers arrived at the condo I was still packing things away in storage…I never knew I had so much stuff! My daughters and I left for the day and when we came home, it was a relief to see how great our condo looked! The master bedroom really looked spacious and beautiful and the girl’s room looked more pulled together with gorgeous bedding which became the focal point. The placement of the piano and the stereo made the living room look bigger and the art and candles over the fireplace mantle created a nice, attractive focal point.
. . . we painted in the suggested neutral colours, as our existing wall colours (were) dark green, bright yellow, purple and blue. . . we all feel so much better now that the stage has been set! Thank you so much for the (Detailed Recommendation) Report. There were no horrible surprises (yay) and some very good ideas. (With your detailed guidelines in hand) we (are now equipped to) make some decisions about what we want to do to the house, 1st, 2nd, 3rd, etc. Thanks. . . You are such a star! We arranged for the stagers to spend a day at our 1911 heritage home in North Vancouver, “The Walden House” on July 12th, 2011. We are very impressed and pleased with the results. The dining and living rooms previously were cluttered and felt small; we were not sure why as the ceilings are very high and there is a lot of intricate and interesting molding and detailing. There only seemed to be room previously for two people in the living room - it felt only like a TV den. With the redesign, it now feels open and spacious, and there is ample room for five people. We have a Chinese homestay student coming in September, and she now has her own antique chair and side table corner, with a view on ocean paintings and an antique Jade vase and Buddha. Very innovative placement and good response to our requests for the seating arrangements. The native antique cedar hats we had stuck high up on shelving have found a quirky and fun home stacked on a small side table, again very innovative. We had many paintings that seemed to overwhelm the rooms; the walls now feel clean and uncluttered, and the large paintings have been moved to a space where they almost look like a mural on the wall, as if they had been there for 100 years. Over 6 boxes of clutter were removed from the spaces, the dining room (which also doubles as a homework room and occasional office space for me for my consulting practice) feels airy and has a wonderful energy, and the fireplace area is now uncluttered and ready for cozy winter evenings. I am very pleased how the design response took into account the multiple uses the space and family requires; I am now feeling that is how the original heritage homes worked, and it has reconnected us to the history of the house. Good design is more than just placement of objects. I feel that the team has met our expectations and exceeded them by taking into account our complex international family’s needs and history. If” thank yous” were flowers I would need a bouquet the size of my living room to signify how much I loved and appreciated the work, the style and the ingenuity that you put into redecorating my home. My daughters and I were aghast and delighted when we saw the changes that you made. My husband, even though I know he still hasn’t noticed a couple of changes, is thrilled. Believe me it is hard to get him excited about furniture placement but he loves it! It is so fun for all of us to wake up to the new space; I think it puts our day on a much brighter footing. It is amazing how complacent one can become in ones own surrounding. Thank you for shaking that up for me. You created a space that not only looks fabulous but also feels fabulous. The qi/energy flow is so much better and so much more conducive to a happier, healthier lifestyle. From the bottom of our heart thank you, thank you, thank you. P.S. Do you do bedrooms??? I worked with Tamara MacDonald in March 2012 and from our first introduction was impressed by her style and commitment to her clients. I was looking to maximize my rental income on my first property and wanted to attract higher end tenants that would take care of the property. Tamara came to my place and gave me a very comprehensive report that outlined many things I could do to improve the presentation of the home. I had allowed myself some room for negotiation on the rent, but not only did I not need this, with Tamara’s advice I ended up getting $100 per month more than I had hoped for. It was a pleasure doing business with Tamara and I would gladly recommend her to anyone who is looking to redesign their current home or stage their home for selling or renting. I know she will provide excellent personalized service that would meet a variety of needs. I will, without hesitation, use Tamara’s services again in the future. I invited Tweak Home Staging to come in and decorate our guest suite. We already had most of the furniture for our display suite, but no one on staff who had the creative talents to decorate it. We take pride in our community and it's our desire to always put our best forward. Right from the start, Tamara was easy to work with, flexible and understood exactly what was needed. She was prompt in getting the job done and what a beautiful job it was. She made our furniture look like a million bucks with the colorful, modern and decorative staging items she used. Everything from vases to wall hangings were well co-ordinated and made each room stand out - all done at a very reasonable price. I highly recommend Tamara to either stage or completely furnish and decorate your home. 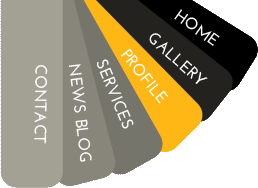 I really like your newsletter - short and easy to read/understand. Love the red background too! Please keep me on your recipients list, thanks! Just love how our place looks put together. Can't imagine changing it. We wanted to thank you for stopping by and providing us with some great input and some wonderful staging ideas - (all)very helpful and much appreciated. I just wanted to thank you again for your experience in helping me with updating our master bedroom. You were bang on with wall (colour) and furniture colour for the bed and side tables. It is a total transformation! So exciting! Just wanted to say how great a job you did on staging our home. It looks absolutely amazing and we both love it!! The kids love it too!